J.Cee has won the award for The Best Gospel–Oriented Song “Air I Breathe” for 2011 by INTERNATIONAL REGGAE AND WORLD MUSIC AWARDS (IRAWMA) 2012. 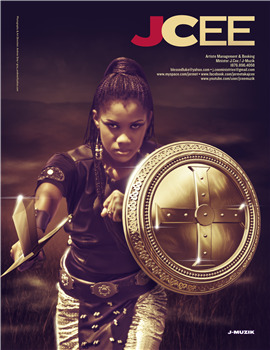 J.Cee is the Best New Artiste – Female awarded by the ATLANTA CARIBBEAN GOSPEL MUSIC AWARDS (ACGMA) 2012. J.Cee was selected among the world’s elite as one of the best top twenty singers in The BBC World Contest – THE NEXT BIG THING 2007. This competition had singers from over 80 different nations with thousands of contestants. In 2007 she was awarded the MEGAJAM 98FM “Best Female Vocalist” and her song “Nah Fi Run” was awarded BIG TUNE in 2007 by ROOTS FM. J-Muzik has just released her (2011) debut Album “Nah Compromise” a powerful 17 tracks CD loaded with soul piercing messages delivered in a pulsating and dynamic style. The video for “Air I Breathe” is nominated for The Best Gospel Video for 2011 by CARIVIBEZ ANNUAL VIDEO WEB AWARDS. Her ministry is taking the world by storm  as an Ordained Minister  Praise and Worship Leader  Youth Leader  Motivational Speaker  Dance Instructor  Choreographer + Project Planner  Designer  Multidimensional Singer (English and Spanish) – Jazz, R&B, Dancehall, Reggae, "the whole works". On October 21, 2006, she launched her career as a professional Gospel Artiste with the mission to spread her message across the world. Bishop Dr. Joseph Ade-Gold gave her apostolic covering and blessing to minister to nations. On Sunday December 13, 2009, she was ordained as a Minister of Abundant Life Christian Church. Her ministry has taken her to the United States and major Caribbean territories including her home Jamaica. She shared stage with Kirk Franklin, Donnie McClurkin, Canton Jones and Bobby Jones. 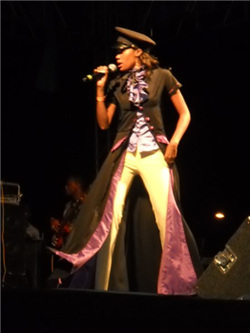 Her album includes songs such as “Lighthouse”, “Nah Fi Run”, “Somehow” and “Let Me Worship You”. Some of the major events she ministered include: Genesis Festival, Fun In The Son, Caribbean Gospel Fest in Miami, YFC Mission Project in Arizona, Bahamas Famfest, Antigua Gospel Fest, Summer Sizzle, Portland Jerk Festival and Sister to Sister Media-ton. Jermet aka J.Cee is a strong, energetic and warm individual who grew up on sound Christian principles. She started singing in church at the age of three. Children’s choir, youth choir, other singing groups - to soloist is the sequential progress of this Psalmist. Through her grandfather’s guidance and teachings, she was infused with the purpose of ministry and thus choose singing and dancing as the mediums to act. Over thirteen years ago she started her Christian journey which has its challenges, but, being an overcomer she beats all obstacles. She is married and is a proud mother. She serves in many ministries including Youth Ministry, Deliverance Ministry, and the Performing Arts Ministries. Want to leave a message for JCee? We'll post your comments right here!